This is a long one! ??????? This weekend my girls were playing in the sandbox while I gardened. Addison had her sparkle shoes on and I said don’t wear those into the sand box babe. As soon as I said it, I caught myself thinking…why not? The logical mom in me was thinking, I don’t want them to get ruined. The widow in me however was saying they are just a thing…let her take her sparkle everywhere with her. This may sound silly, but it did cause me to pause, think and reflect. So here is the message I have to share…get ready for this deep thinking. ???? I feel like everything has me thinking lately about life, about dreams, hopes…about what’s next! The sandbox of life is so full of unknown, of possibility! Our lives will be touched by so many people through the course of it. We will have gone through so many things our heart could not have imagined or prepared for, but doesn’t that also make life magnificent and unique? If we knew what was ahead, it would cause us so much angst before we even let ourselves begin. We would fixate and possibly try to change our course. It’s how we handle those unknown moments in life that define us and help us write our story! For a time, I stopped writing mine. I’m thankful I didn’t stay in that place too long, I’m blessed I didn’t let it steal my spirit or darken my heart. The loss of my first spouse and best friend forever changed me, in so many ways. I was an innocent. I no longer am. I was naive to the way of the world. I no longer am. I was disillusioned to the fairytales that we grow up believing. I no longer am. So much of what we see growing up in movies and media is glamorous, beautiful, perfect with some version of a happy ending. Most lives are just not this way, life is dirty, messy and full of twists and turns. I have as a mom decided to let my daughters believe in fairytales to a certain point, but the real live version of them. Real is a life we build and decide to make for ourselves, real is how messy and hard life can be, real is being our true self and not being afraid for others to see us and our hearts as we are. real is not fitting into a mold or a perception that people have for us. Real is being authentic and not being afraid of that. Real is being kind and humble, but also having a backbone to stand up to wrong and things we don’t believe in. Real is following God and leaning into him and his word, which i admit i don’t always do, but i try to. Real is understanding that God is not of man nor evil and he does not make the bad in our lives happen, he does carry us through if we follow and lean into him. Real is understanding that not every cloud has a silver lining, real is knowing that if a door closes, you get back up and open the next one taking advantage of your time here and following your heart. Real is understanding that grief has no time limit, real is not judging others because we don’t know their circumstances!! Real is celebrating moments and opening our hearts to love and possibility, but knowing that love takes work, time and effort. Real is showing our sparkle ? through the hail storms in our lives, sharing our smiles allowing people to see that just because something bad has happened it doesn’t mean we have to live there and stay there for others! Ten years after losing John, I feel called to share my story, share the sparkle ? I have regained and found hoping to spread it as others go through their journey. 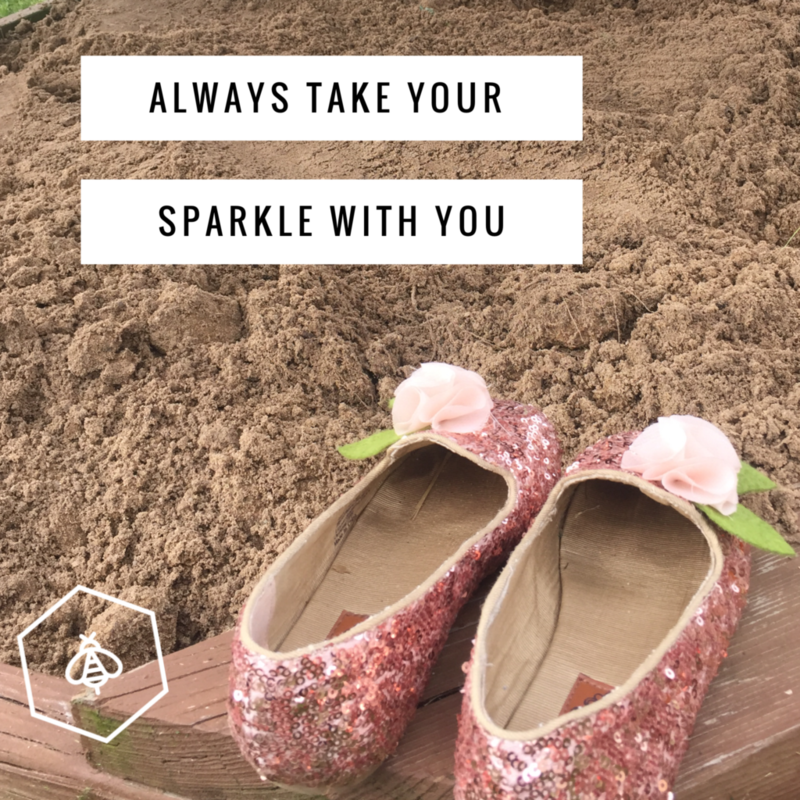 So throw a little sparkle ? someone’s way today. I always believe being kind and real to others or taking pause to see how someone else is, helps people in turn do the same.